Kathy Sabine is the Chief Meteorologist at 9NEWS in Denver, Colorado. 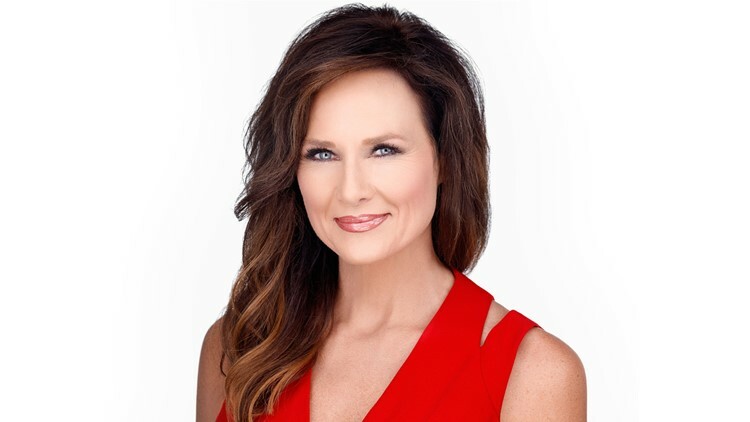 Kathy is the 2018 winner of the Heartland Emmy Award for best Meteorologist. Kathy Sabine has been awarded seven Heartland Emmy Awards for best Meteorologist. She has four CBA or Colorado Broadcasting Awards and two AP awards, one for news writing. Kathy joined 9NEWS in the spring of 1993 and is the lead forecaster on the 4, 5, 6, 9 and 10 p.m. newscasts Monday through Friday. You can hear her forecasts on KOSI 101.1 and 98.5 KYGO. She produces a daily forecast for the Fort Collins Coloradoan newspaper. She writes a daily weather forecast on 9NEWS.com. She is an American Meteorological Society (AMS) and National Weather Association (NWA) seal-holder. Kathy has worked in television since she graduated from Cal Poly State University in San Luis Obispo, California. Along with her forecasting work Kathy has spent time anchoring the news, reporting, producing and writing. She has also spent time behind the scenes in production as a chyron operator, camera operator, audio technician, floor director and tape operator. Kathy developed a love of the outdoors and nature in her hometown of Truckee, a small mountain town in northern California near Lake Tahoe. She learned to ski when she was two and her family was very involved in the ski industry when she was a child. Kathy was also very involved with horses and rodeo. Kathy began college studying to be a veterinarian. She started work on her first degree in Veterinary Science at Cal Poly later switching her major to Journalism. Kathy's work on her second degree in Meteorology began years later at Metropolitan State College in Denver as well as classes at Mississippi State University. After obtaining her first degree, Kathy began her television career at the NBC affiliate in San Luis Obispo then went on to work for ABC in Santa Barbara, Fox in Salinas/Monterey and ABC in San Jose California. Kathy has filled in on the Today Show in New York for Al Roker during the week and Chief Meteorologist Janice Huff from WNBC in New York on the weekend edition around three dozen times over the years. She has won awards for storm chasing and was named best weathercaster by the Douglas County Newspaper organization in several editions. Westword and 5280 have named her "favorite news personality" and "best weather anchor" numerous times over the years. Kathy was featured in Sports Illustrated (the swimsuit edition! Heidi Klum is on the cover straddling the Equator), Men's Health, Zenith Woman, Colorado Dogs and Cats magazine, Rockies Magazine, The Weather Channel Calendar, and HerLife Magazine. Kathy is married with two sons and a daughter. When she is not at 9NEWS you can find her enjoying the beautiful Colorado outdoors riding her horses, running, skiing or hiking. Kathy also donates time to local charities and animal shelters. She enjoys visiting school classrooms sharing her knowledge of weather and the environment with children .. hopefully inspiring girls to pursue a career in math and science. Kathy is proud to be a foundation board member for Teen With A Dream, a youth cancer organization. She is involved with the National Western Stock Show, Colorado Horse Council and local 4H and FFA organizations. Kathy is proud to announce she has been appointed to the Board of Directors for the Colorado Horse Council and the Colorado State Fair Foundation. Please check out the websites and join as we gear up for big events like the Colorado Horse Expo in March and the Colorado State Fair in late August! There will also be some fun horseback riding events this summer! There are a lot of benefits to horse owners through the Colorado Horse Council. Check it out! Kathy supports the following organizations and believes in their mission. Please click on any of the links below and join her in making a difference with animals in Colorado. Thank you!